Often times, plumbers are called in emergencies – when the homeowner discovers something has broken, and it’s caused an immediate need, often at night or over a weekend. This is unfortunate because the plumber may not be available, or may have extra fees associated with emergency calls. A responsible homeowner should conduct an annual inspection of their plumbing at home, identifying potential issues before they become large problems, and getting them fixed while the fix is as inexpensive as possible. – Look at the drainage pipes below your kitchen and bathroom sinks – do you see signs of leakage? The area below the sink and P trap should be clean and dry, no water should be visible standing on any of the joints, and no corrosion should be apparent on the pipes. – On the water supply lines that feed to your sinks and toilets, make sure the shutoff valve can be turned off and back on, and make sure they’re not leaking. While inspecting the supply lines, make sure there are no puddles or signs of leaks at the fittings, and no signs of corrosion on any of the lines. – Look around refrigerators with ice makers and dishwashers, sinks and bathtubs for signs of cracked or warped flooring that may indicate a leak you can’t see. – Make sure the supply valves for your washing machine can be turned off, and like other lines, inspect them to make sure they’re free from corrosion and show no signs of leaking. – In rooms adjacent to and beneath bathrooms and kitchens, check walls and ceilings for signs of leaks, such as discolored or soft drywall. – On the ground floor, warm spots on the ground may indicate a hot water leak in your slap. – Finally, check your water bill – if your bill suddenly jumps from month to month, and you’re unsure of the cause, it’s likely a leak, and a plumber can help you find it. A simple plumbing home inspection is a fast and easy way to identify problems. If you happen to stumble upon a problem and you’d like assistance solving it, contact us today. For more information on plumbing problems call Gold Star Plumbing in Anaheim, CA at 714-624-2546 or visit www.goldstarplumbing.net. Gold Stat Plumbing also proudly serves Anaheim, Orange County, Santa Ana, Tustin, and surrounding areas. 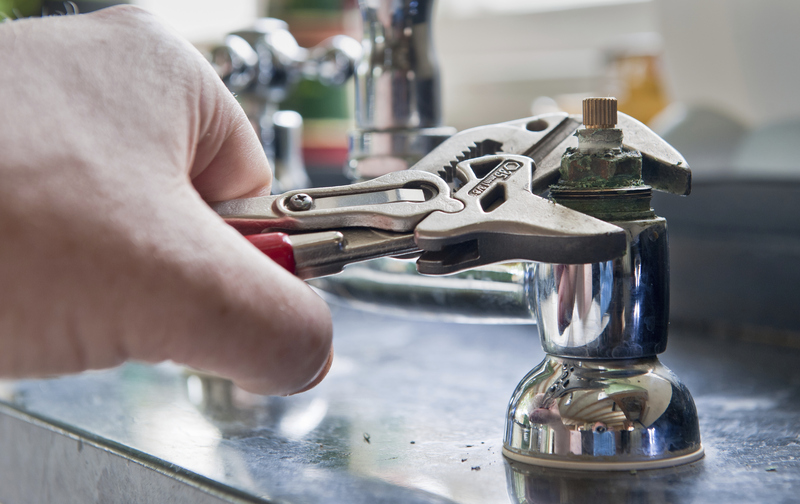 While some plumbing problems require a professional, many everyday plumbing problems are simple to fix with only basic tools. 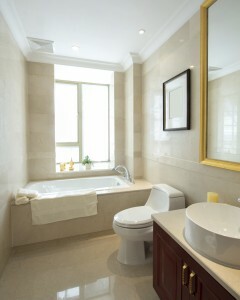 One of the problems that can cause problems with toilets is when they don’t stop running. While a running toilet can be caused by a handful of different problems, it’s easy to determine the problem in just a few quick minutes. The first step is to remove the tank lid – generally it lifts straight off, and can be set aside in a safe location where it won’t fall or be stepped on. First, look at the overflow tube in the middle of the tank. If water is flowing over the top of the tube and into the tank, then the water level is set too high – the toilet never knows that it is full, and never knows to shut off. The actual adjustment depends on the type of float arm – there’s generally a screw near the top to adjust the float. The next component to test is the flapper. The rubber flapper keeps water in the tank until the toilet is flushed – if it doesn’t seal properly, the toilet will run constantly. If you hear the water running with the lid off, push down on the flapper – if that causes the water to stop running, then the flapper isn’t sealing properly and should be replaced. Then, look at the chain that pulls the flapper. If the flapper chain appears tight, it’s possible that the short chain is holding the flapper away from the bottom of the tank. If the chain is twisted – untwist it. If there are extra links on the chain, adjust it to be longer so that the flapper can rest against the bottom of the tank. If the problem is neither the water level nor the flapper, the last likely problem is the fill valve. While the fill valve may have a problem that can be fixed, a brand new fill valve is typically inexpensive enough that it can be replaced more cheaply than it can be repaired. The fill valve is held in place with a single nut on the bottom of the toilet and the water supply hose – turn off the water, flush the toilet to drain the tank, and remove the nut to remove the nut below the tank – the fill valve will lift out (be sure to have a bucket handy to watch the extra water!). You can then reverse the process (insert the new valve, attach the hose, secure with a nut) and hopefully your running toilet issue is resolved. Hopefully, these three quick steps will help you solve your running toilet, but if not, call your helpful local plumber for assistance. You should be aware of the common indicators of a plumbing problem to ensure that their bathrooms or backyards do not result in a plumbing disaster. -A screeching faucet is a major sign that a pipe’s air system is not properly functioning. 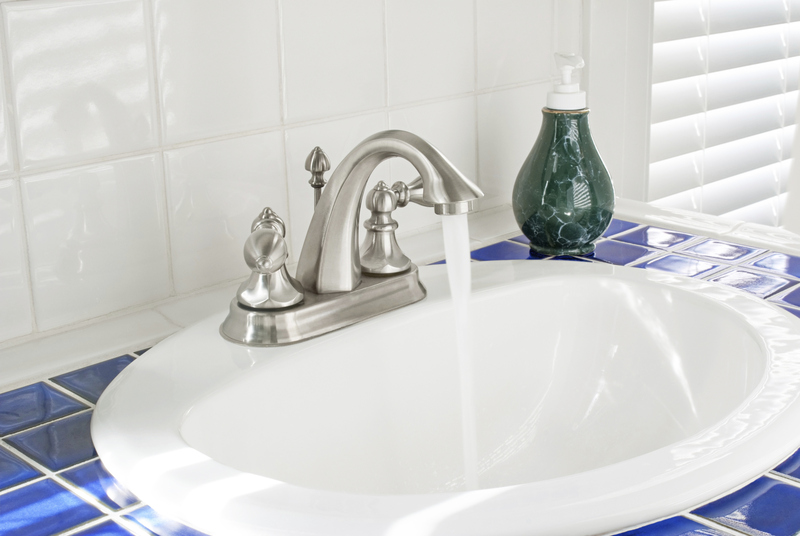 –Frequently inspect under your sinks in the bathroom or kitchen for any wet spots or patches of mold. –If you constantly have to use a plunger because your toilet backs up, you may need to empty your septic tank or remove any tree roots that have grown inside of the pipe. –If you feel as though your drain is slow, there may be a blockage that can be easily fixed with drain cleaning solution or a plumbing tool to break up the blockage. To avoid any plumbing disasters that will end up costing a fortune, look for these major indicators of plumbing problems. If you are in need of any plumbing services call Gold Star Plumbing today! 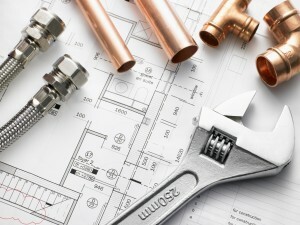 For more information on how to look for a possible plumbing problem call Gold Star Plumbing in Anaheim, CA at 714-624-2546 or visit www.goldstarplumbing.net. We’ve all been there, you’re standing in the shower, when all of a sudden a pool of water starts building up around your feet? Looks like you’ve got a shower drain that you need to unclog. A clogged shower drain could come from a multitude of reason, the main reason however is hair. Built up hair and debris over a period of time could cause blockage issues that could ruin every shower for you! Here’s how to unclog your shower drain! Much like a backed up toilet, a clogged shower may be fixed using a plunger. Spread some petroleum jelly around the rim of the plunger to get a better seal around your shower drain and then plunge the drain with 10-15 pumps at a time. Though a little more unconventional, this method may be very effective. Use a screwdriver to remove and drain covers and grab a flashlight. Using the light straight into the drain, insert a straightened wire coat hanger and see if you can pierce whatever is clogging the drain. Mixing white vinegar and baking soda together and pouring it down your clogged drain could take a couple of hours to fix a clog, but is effective in the end. If you have a difficult clog, you may need to use a plumber’s snake. It’s basically a long stick with a roll of wire headed through the middle of it. Using the hand crank, insert the snake into the drain and push through the clog. When all else fails, the store always carries a large amount of heavy duty chemicals made specifically for getting rid of clogs. Simply pour the solution down your clog and it should be gone in a while. For more information about how we can solve your plumbing issues call Gold Star Plumbing Service in Anaheim, CA at 714-624-2546 or visit www.gsplumbingservice.net. 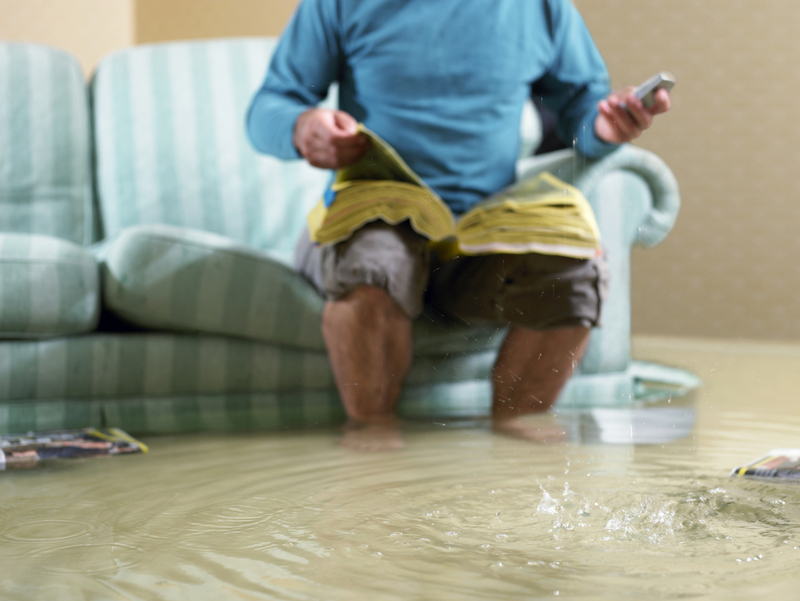 A water leak in your home could end up being very costly. Many people may have a leak and not even realize it. Have you noticed a rise in cost on your water bill? You may have a leak. If you think you may possibly have a leak in your home, it is best to act on it right away. A leak on your line can be very costly. Yet, even a very small leak can be found through trying a few simple techniques and can save you from a nasty surprise from your local utility company. First make sure everything in your house that uses water is turned off. Locate your water meter. It could be in your basement, in a crawlspace under the home or in a meter pit in your yard. Locate the leak indicator on the meter. Check to see if the leak indicator dial is moving. If it is moving, you probably have a leak. If you can, shut off the valve beside the meter. If the leak indicator dial stops moving and start moving again once you turn it back on, then you have a leak. Now that you have found out you have a leak you have two options, try to locate the leak yourself and fix it or call a plumber. 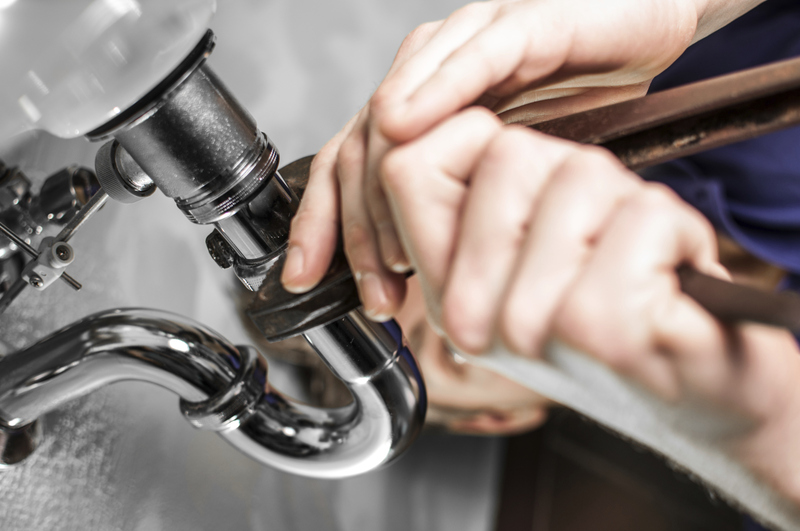 A plumber has the expertise to locate the leak quickly and fix it correctly. Luckily with modern plumbing, tearing up your home, yard, and landscaping is a thing of the past! Pipe bursting is a trenchless sewer replacement method where a large cone shape head is hydraulically pulled by steel cable through the old sewer line, breaking apart the old pipe underground while at the same time pulling into place a seamless HDPE pipe that is the same size or larger than the old pipe. There are five key pieces of equipment used in a pipe bursting operation: the expander head, pulling rods, a pulling machine, a retaining device, and a hydraulic power pack. Today’s expander heads have a leading end much smaller in diameter than the trailing (bursting) end, small enough to fit through the pipe that will be replaced. The smaller leading end is designed to guide the expander head through the existing pipe; earlier models did not have this feature and lost course at times, resulting in incomplete pipe bursts and project failures. The transition from the leading end to the trailing end can include “fins” that make first contact with the existing pipe. Using these fins as the primary breaking point is a very effective way to ensure that the pipe is broken along the entire circumference. A machine is set in the receiving pit to pull the expander head and new pipe into the line. The head is pulled by heavy, interlocking links that form a chain. Each link weighs several hundred pounds. All of the equipment used in a pipe bursting operation is powered by one or multiple hydraulic power generators. For more information on pipe bursting and how we can solve your sewer problem call Gold Star Plumbing in Anaheim, CA at 714-624-2546 or visit www.gsplumbingservice.com. Gold Star Plumbing of Anaheim, CA also proudly serves Orange, Santa Ana, Tustin, and surrounding areas. Are you stressed out because you’ve had a pipe in your property burst? Well tearing up your home, yard, and landscaping is all a thing of the past! The trenchless sewer replacement method where a large cone shape head is hydraulically pulled by steel cable through the old sewer line, breaking apart the old pipe underground while at the same time pulling into place a seamless HDPE pipe that is the same size or larger than the old pipe. WE IDENTIFY THE PROBLEM BY SERWER CAMERA: When we come to your home we will run a camera through your sewer main lines and/or kitchen/laundry lateral lines. From here the technician will be able to evaluate your needs and recommend the best solution trenchless sewer repair for your specific problem. ACCESS THE SEWER LINE: Two small holes are dug at either end of the sewer run that will be replaced. Cable is inserted at one end and fed through. One end of the cable is attached to a pneumatic jack while the other end is attached to a cone shaped bursting head. NEW PIPE INSERTED IN PLACE OF OLD PIPE: The bursting head is attached to a new seamless, heat-fused HDPE pipe. As the bursting head is pulled through the old sewer line, it simultaneously breaks apart the old pipe (even cast iron) and pulls behind the new pipe. STRONG & SEAMLESS PIPE WITH A LIFETIME GUARANTEE: Sewer line seams and joints are point of failure in sewer lines. 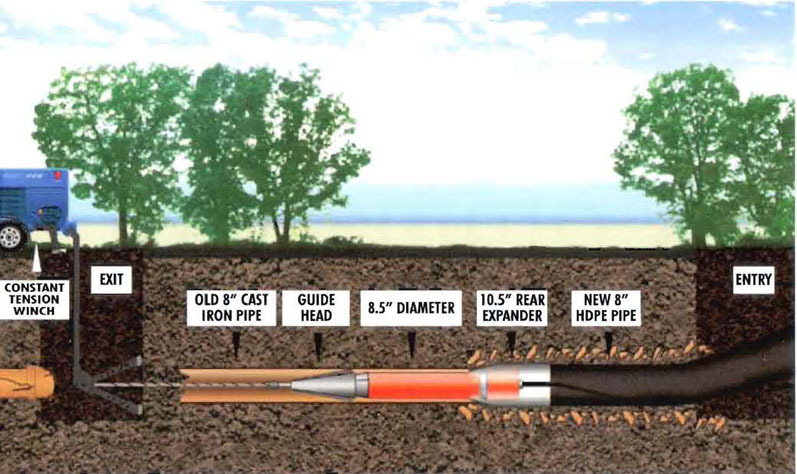 With a seamless high-quality HDPE pipe, you can eliminate the potential for root intrusion and offset or gapped joints. We are so confident that we back our seamless HDPE with a lifetime warranty. People assume that commercial plumbing works the same as residential plumbing, however the professionals of Gold Star Plumbing would emphasize how every circumstance is different. Here at Gold Star Plumbing, we offer our service not only to residential areas and fixtures, but to commercial areas and fixtures. There are major differences that can be found in commercial plumbing as opposed to residential plumbing. From the pipes to the bathrooms, every circumstance with a commercial property is different. At Gold Star Plumbing, our Commercial plumbers trouble shoot and service office buildings, business parks, individual stores in strip malls as well as restaurants. Gold Star Plumbing also works with property managers and owners to assess, plan, and schedule maintenance. When it comes to commercial plumbing, maintenance is extremely important and frequent inspections are a must. With commercial plumbing, Gold Star Plumbing utilizes parts that are completely different from parts used in residential plumbing services. Because the parts used in Commercial plumbing are completely different from residential plumbing fixtures, Gold Star Plumbing takes the time to show you your options and really spend the time in educating you on what your best options are. For this reason, Gold Star Plumbing will personally consult and show you a variety of options depending on your budget.